Tony Pulis heads back to Stoke, Paul Lambert prepares for his first Ipswich game and Lincoln attempt to get over their first dip in form. It is hardly surprising that a manager who spent so long at a club and as good as built it into a Premier League force himself was so good at beating it. Tony Pulis has faced Stoke on seven occasions since departing the club in 2013 and is yet to taste defeat. The first game after he took charge of Crystal Palace was won 1-0, and six further matches with West Brom saw four wins and two draws. You also will not be too surprised to hear that four of those five wins were by a 1-0 scoreline, and the two draws were only 1-1. Just the one game, in January 2016 at The Hawthorns, reached the heady heights of three goals as West Brom ran out 2-1 victors. Pulis' Middlesbrough may be third in the table heading into the weekend but only five sides in the Sky Bet Championship have scored fewer than their 17 goals, and four of those are in the bottom six. Their defence is supreme, however, having conceded just eight goals so far. Taking all this into account, then, it appears unlikely that there will be a first defeat for Pulis against his old side at the bet365 Stadium on Saturday evening, live on Sky Sports Football. 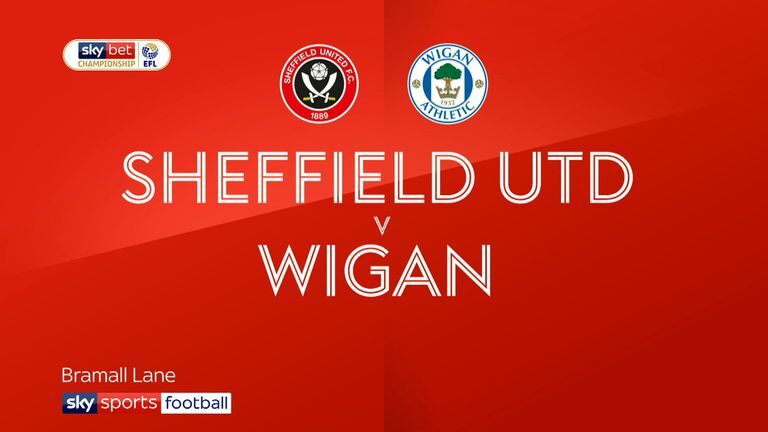 Is there a bigger contrast in the Sky Bet Championship this season than the one between Wigan at home and Wigan away? The Latics have collected 17 points at home so far - only leaders Sheffield United have gathered as many heading into the weekend - but they have also managed only three away. Only Millwall, Preston and Rotherham have fewer. It is probably the reason why Wigan find themselves just drifting away from the play-off race at the moment, but Paul Cook is not overly concerned. "If I could put my finger on what was going wrong away from home, we wouldn't be getting beat every other week, would we?" said Cook last week. "But that's football, and it is what it is. "Honestly, the away form doesn't bother me at all. It is difficult for us to explain, when we have such a strong home record. But our challenge at the beginning of the season was to maintain our status, and that doesn't change." If they continue to struggle away, however, then it will add a level of pressure to pick up points at home. Next up they face their toughest challenge of the season at the DW Stadium as Leeds visit on Sunday, live on Sky Sports Football. If Ipswich fans were hoping that the departure of Paul Hurst would trigger an immediate upturn in their fortunes, then they would have been wrong. They may have dominated possession against Millwall last Saturday, but most teams do. And the fact Millwall managed to score three goals from four shots on target and that Ipswich failed to test the goalkeeper once suggests that there are real problems to solve at both ends. Up steps Paul Lambert, taking over a club who are five points adrift at the bottom of the table and have comfortably the worst goal difference in the division. First job, however, is to win over a set of fans who once watched him win promotion to the Premier League with their greatest rivals. "I don't want to go back to the Norwich time, because it was seven years ago," he said. "I had three fantastic years there, but I don't want to hark back because I want to focus on Ipswich now, to try to get this club away from the bottom of the table." Three points at home to Preston on Saturday would be a great way for him to start. It seemed like Karl Robinson was destined for the door at Oxford United after a dreadful start to their Sky Bet League One campaign that saw them pick up just five points from their first 11 games. A goalless draw at Southend followed, however, and all of a sudden Oxford are on the up, picking up nine points from their last five games. "If you look at the last five league games it has only been one goal conceded and that was a penalty, which shows you how good the defence has been," said George Elek from the 'Not The Top 20 Podcast', who was a guest on EFL Matters on Thursday. "Simon Eastwood coming back from injury has been a massive, massive plus as well. Ali Maxwell and George Elek from the 'Not The Top 20 Podcast' join David Prutton in this week's EFL Matters. "Curtis Nelson has come back to form and Tony McMahon, who we didn't really see much of at the beginning of the season, has been really good." For all the positivity Oxford are still in the relegation zone, although that would likely change if they beat struggling Scunthorpe at Glanford Park on Saturday. Lincoln are still top of the table so it's not exactly a time of crisis at Sincil Bank, but there's little doubting that their form has slipped of late. After starting the season with eight wins and a draw from their first 10 games, Lincoln were seven points clear of fourth place in Sky Bet League Two and seemingly cruising towards a promotion party. 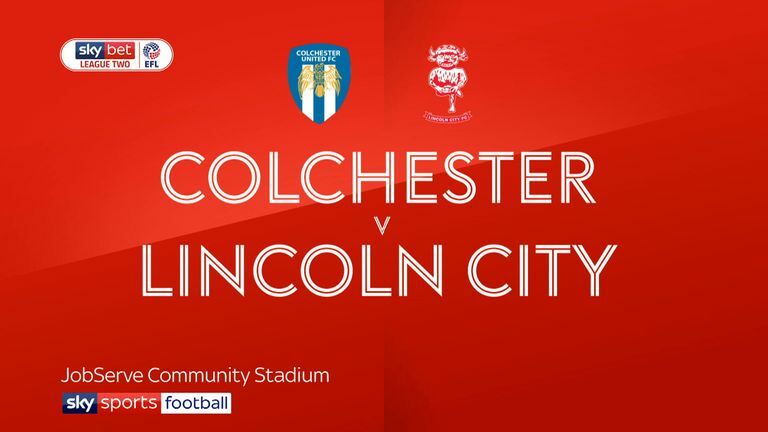 Highlights of the Sky Bet League Two clash between Colchester and Lincoln. Just two wins have followed in their last six games, however, although one of those was a thumping 6-2 victory at Port Vale, and they have picked up only two points from their last three games. "It's a really tough league," said boss Danny Cowley after their defeat to Colchester last weekend. "Everyone can get carried away with themselves but we won't. We know what the league is about and it's about the small margins. We've come up on the wrong side of the small margins this week." Lincoln will hope to get back to winning ways against Forest Green on Saturday, while defeat could see them lose top spot for the first time since August.